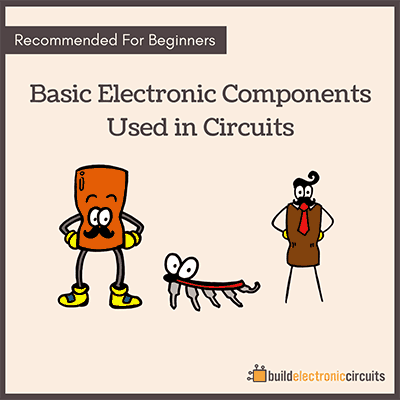 What is Ground in Electronic Circuits? Grounding is confusing. 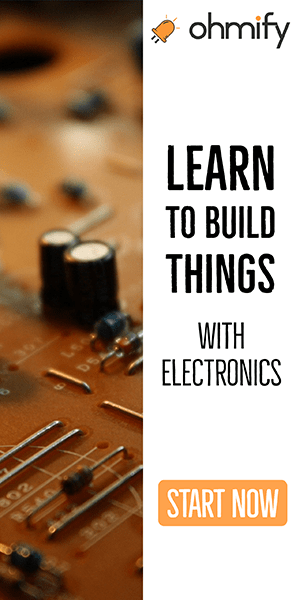 I think most people who have started learning electronics have asked «What is ground?» at one point or another. Are you actually suppose to connect your circuit to the earth? I think the reason ground is confusing, is because it’s different in electronics and in high voltage electrical systems. 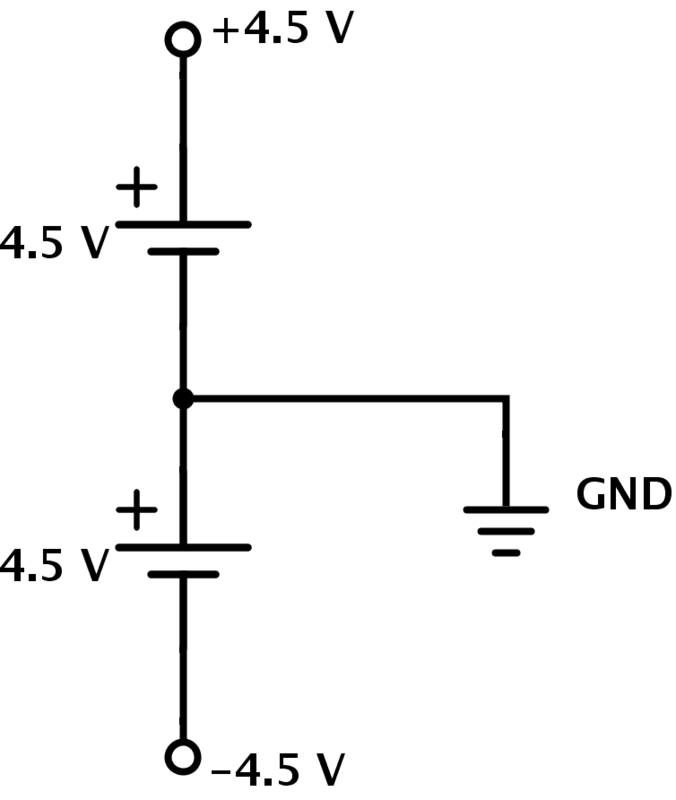 Usually in electronics, ground is just a name we give to a certain point in the circuit. 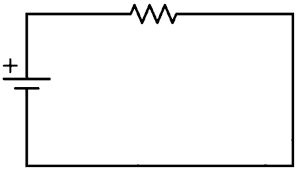 In a circuit with one battery (with a positive and a negative terminal), we usually refer to the negative terminal as ground. Let me explain what ground is. 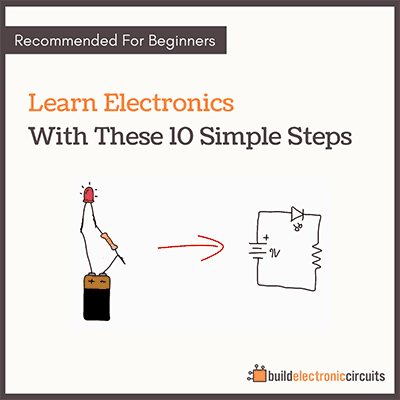 To see how the current flows in a circuit diagram with ground symbols, just connect all the points that have ground symbols. That is what you do when you build the circuit. 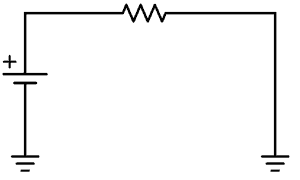 In some schematic diagrams you will find a connection to a positive terminal, a negative terminal, and a ground terminal. 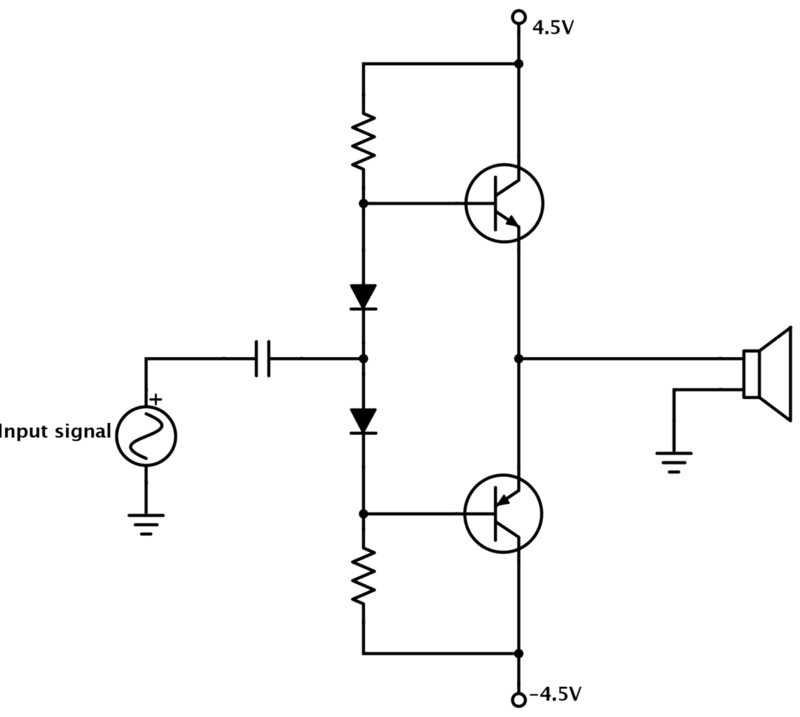 This is common in for example amplifier circuits. So, how does this work? In this scenario, the ground is the middle-point between the positive and the negative terminal. 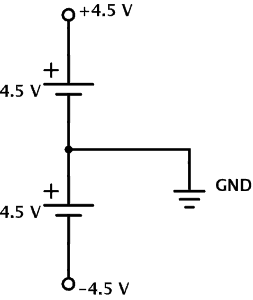 If the voltage measured between the negative and the positive terminal is 9 volts, this means the ground would be at 4.5 volts. But in this case, we would call the positive terminal 4.5 volt and the negative terminal -4.5 volts. And the ground terminal we would refer to as 0 volt. If you’re confused by how we can just say that the positive terminal is now 4.5 volts and so on – then let me remind you that voltage is a measurement between two points. So by calling the negative terminal -4.5 volts and the positive 4.5 volts, we still have 9 volts difference between them. 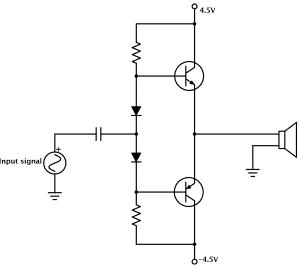 What is Ground in High-voltage Systems? Sometimes though, the «ground» term refers to an actual connection to the ground/earth. But that is usually when talking about high-voltage systems. If you connect something to ground, it’s grounded. what is the benefits that we got. with connect grounding in our electrical installations? If we connect positive, negative and ground terminals,what will be the function of ground there if the potential is 0? What happens if we give improper grounding?